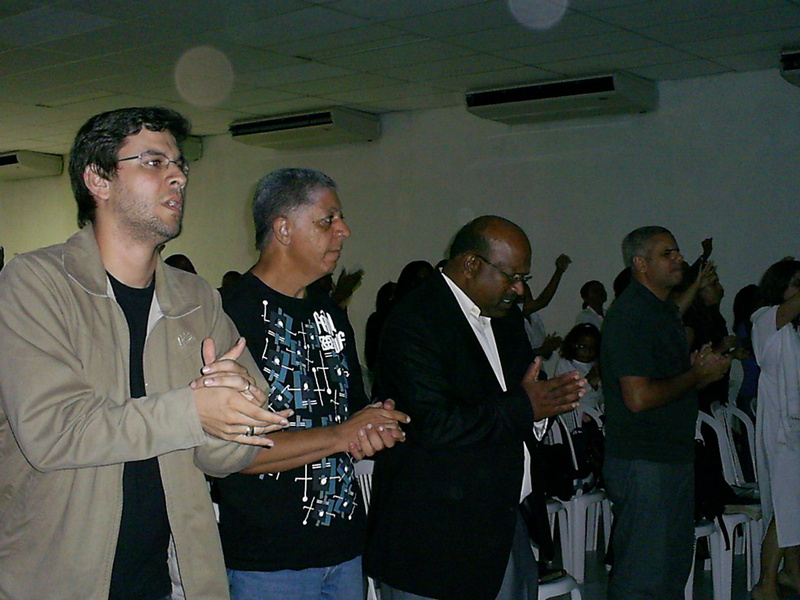 Many people attended the meetings in Salvador. 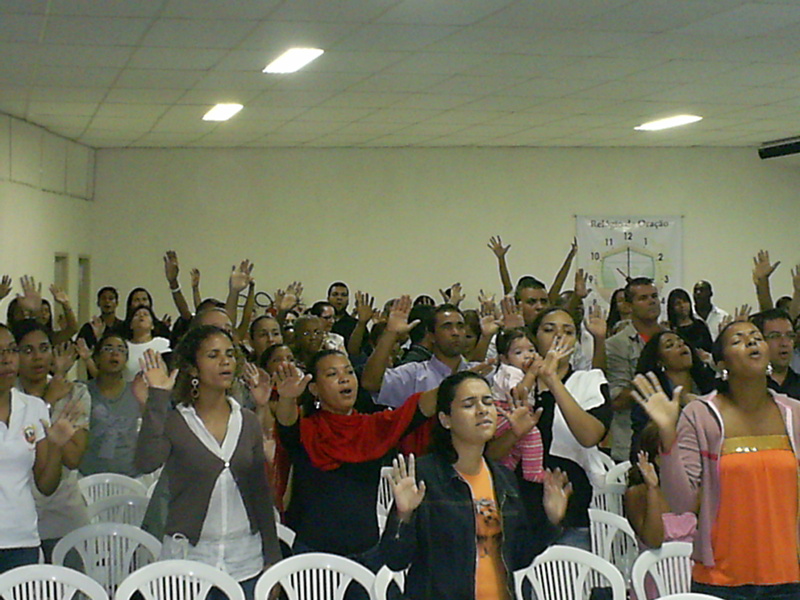 They were receptive to the Word and to the one who came in the name of the Lord. Victor Dantas is a man I will never forget. He is a highly respected man who is involved in developing new innovations in Information Technology. He is presently working on the software for a “touch screen” pulpit. He was assigned by his set man Ap Eduardo Ribeiro to be responsible for all our transport and other needs.He was placed at our call. He was a real blessing to us during our stay. He also interpreted for me at the meetings. Picture from the left: Victor Dantas, Ap Eduardo Ribeiro our host and myself. It was great spending quality time with my sons, Ps Nilo and Ap Marcio. Because we live far away from one another, the times we do get together are very special. Bahia was one such experience. This is Ps Nilo Nogueira, the pastor of CCF International Church in Rio de Janeiro with his children from the left … Shelley, Gabriel and Eve. 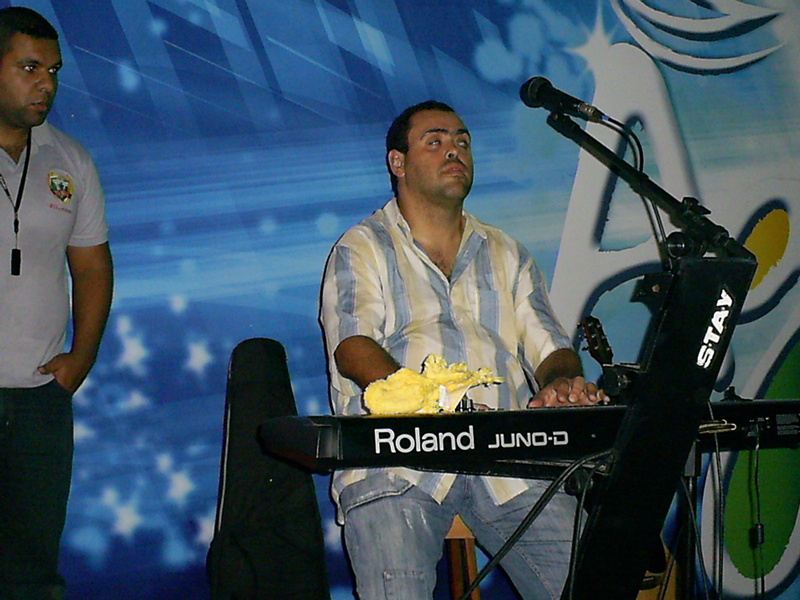 All Ps Nilo’s children are gifted musicians and are part of the Praise Team. Shelley is an accomplished guitarist whilst Gabriel plays the drums and Eve sings. When I met Ps Nilo, Gabriel was not born. Shelley had just been born. Sonia, Ps Nilo’s wife passed away tragically about 8 years ago. She spoke fluent English and interpreted at all our meetings. Her passing away was a tremendous loss to the work of the ministry in Brasil.